Merging on the motorway or changing lanes: this may quite literally become an automatism for truck drivers in the long term. 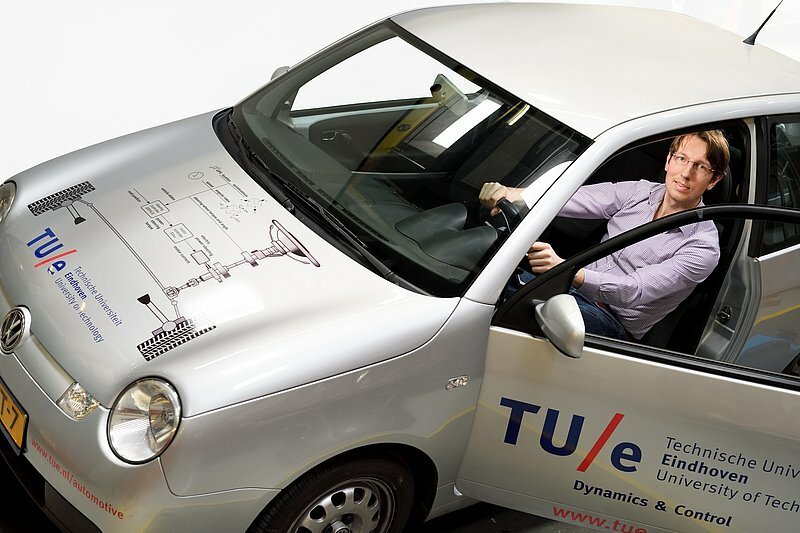 Jan Loof, mechanical engineer at Eindhoven University of Technology, has developed a system that can take over the steering and enable a vehicle to automatically merge in traffic. However, the driver will always exercise control of the steering wheel. First tests on the road show that it feels very natural and that drivers are at ease with it. Loof will be awarded a Ph.D. on Monday 19 February for his research. Trucks and trailers are often involved in road accidents. Moreover, 90 percent of all accidents result from human error. During his doctoral research at Eindhoven University of Technology Jan Loof developed a merge assistant that helps the truck driver to merge—a difficult maneuver – so that the risk of accidents can be reduced. Jan Loof will receive his doctorate on 19 February for his thesis Modeling and control of a truck-steering system for active driver support.